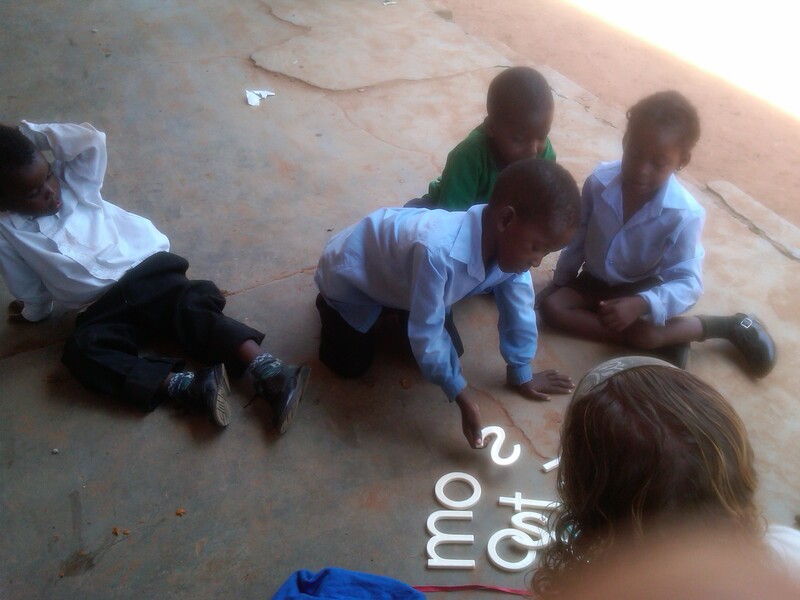 Volunteers in the Peace Corps have the option to use Souns in their communities in South Africa. This opportunity is the result of a collaboration between Rotary Districts 6900, 9400, and Africa Peace Corps. The work is promising, even compelling when one considers the difference for children that is being made. It is a wonderful thing to see organizations join forces for building a literate world, which is the only route to a peaceful one. Please enjoy the collection of quotes from the field. Keep in mind, Souns works in any language using the Latin alphabet symbols. You associate the sound of the symbol for the child’s language. What a bridge between differences. writing must be done in smaller groups! still participated… only afterwards did I realize [how badly he felt]. Poor guy! But he still was working hard. progress. Using local words has been especially effective. This entry was posted in Peace Corps, SounsAfrica and tagged children, early literacy, education, literacy, Peace Corps, reading, Rotary, Souns, writing. Bookmark the permalink.